The Mistress of Tall Acre, a much anticipated novel by Laura Frantz, arrived in my mailbox on Saturday. To say I was excited would be an understatement. I have been waiting for this book since I finished Laura's last story, Love's Fortune, a year ago. The moment I opened the package! 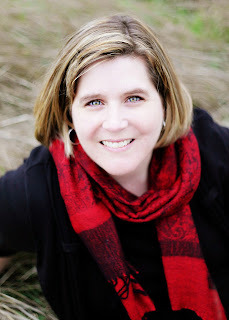 There is no question in my mind that Laura Frantz is one of the premiere historical voices in Christian Fiction today. Her books have a captivating quality that make you feel as if you are standing inside the story, watching it unfold from the best vantage point in the room. Intrigue, passion, and faith are artfully woven together with vibrant colors and textures. 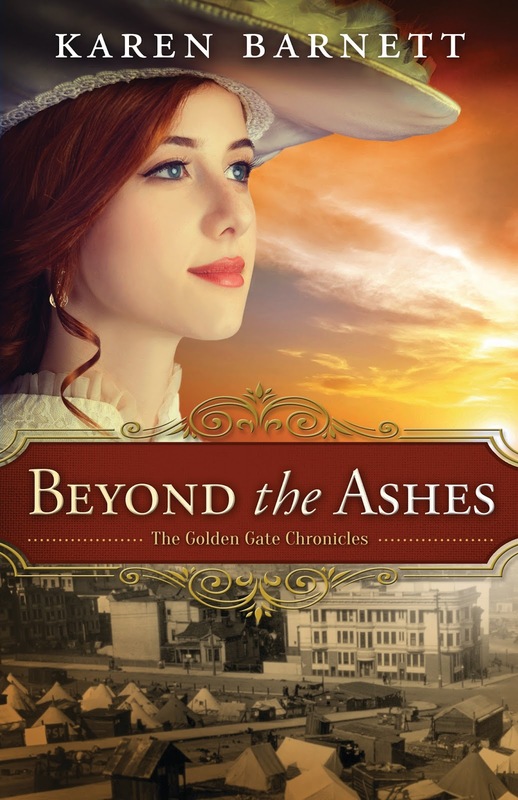 Her voice is stunning, her attention to historical detail is superb, and her characters are breathtakingly realistic. 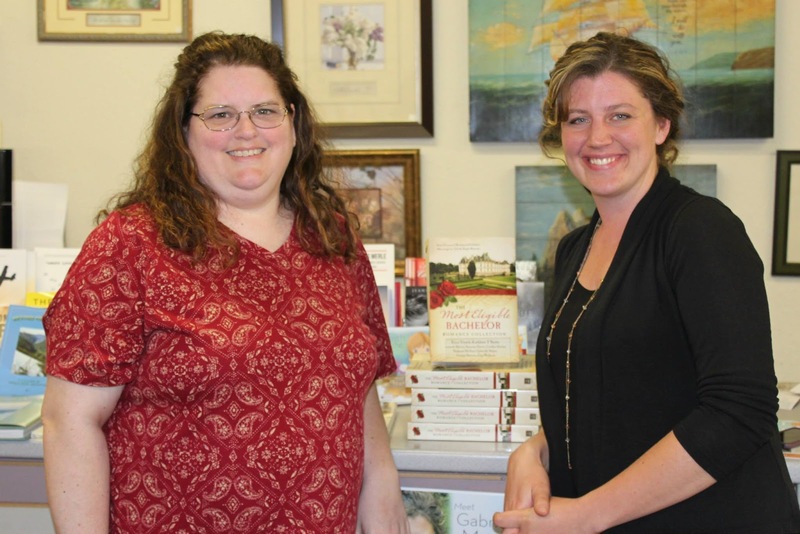 She brings early American history to life in a way few other authors achieve. The very first scene of The Mistress of Tall Acre grabbed me by the heartstrings and I knew I was in for an emotional journey. As General Seamus Ogilvy, a hero of the American Revolution, meets his infant daughter for the first time, we fall in love with both the general, and the baby girl. This scene is a study in contrasts. Weakness and strength, protection and vulnerability, longing and satisfaction. I felt an instant bond with Seamus and I began to root for him, even before I knew who his enemies were. The second scene begins five years later, at the end of the Revolution, when we meet Sophie Menzies, General Ogilvy's neighbor. She is a woman broken in body and soul, but not in spirit. The war has taken almost everything from her, but it has not stolen her hope. When Seamus comes home from the war, a widower with a young daughter to raise, he and Sophie agree to a marriage of convenience. Their neighborly friendship soon turns to something more--until a woman from Seamus's past arrives on his doorstep, and threatens the life they've built together. As always, Laura's book mesmerized me. I read it in one day (thank you to my husband and children for the mini-vacation!). I love so much about her stories--but I think it's the romance that enchants me so. I'm not exactly sure how she does it, but she makes me feel as if I'm falling in love right along with the characters--so when they rejoice, I rejoice, and when they mourn, I mourn. 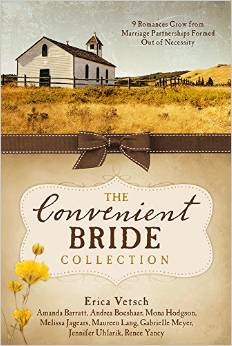 But there is always hope in the happily-ever-after, which Laura delivers with finesse. Today I'm welcoming author Karen Barnett to my blog!! I had the pleasure of getting to know Karen better at our agency retreat last October in Monterey. Karen writes historical novels, so we had a lot in common. Today she's talking about finding inspiration in historical photos, something I'm fond of myself. My most recent novel, which I entered in the Blurb to Book Contest with Love Inspired Books, was inspired by a photo I found years ago of a father, his four children, and his wife who was in a coffin at their feet. It's an eerie picture, but one that inspired a whole story. Join me as we learn about a photo that inspired Karen! Karen: Sometimes readers are surprised to learn that even though I spend most of my time shaping words and chapters, I’m even more drawn to photographs. I love searching the Internet for interesting historical images. Every time I find a good one, my mind buzzes with story ideas. I’m not unique, apparently. 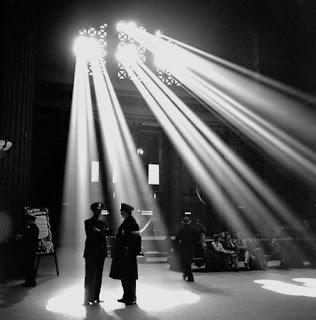 I’ve met several writers who have been inspired by photographs. 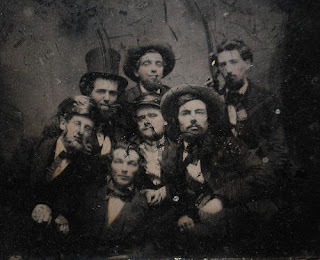 Just this week, I met a woman at the Oregon Christian Writers conference who goes out and buys photos at antique shops so she can write stories about them. I love that! I always feel badly for the poor nameless pictures mixed in with the antiques. I want to know the people’s names and stories. Just recently I was able to reconnect a set of orphaned portraits with a ministry who desperately wanted them. 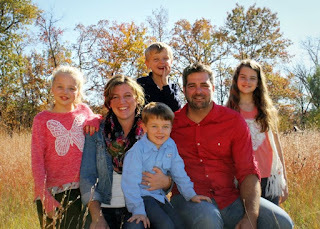 It was a fun experience, and I’ll be writing about that Monday over at my own blog (www.KarenBarnettBooks.com). Have you ever been inspired by an image? Here’s one that got to me. 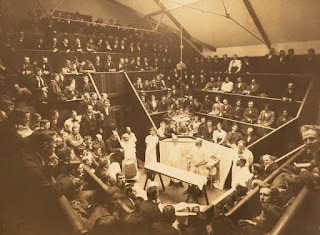 When I was doing research on Cooper Medical College and Lane Hospital for my recent release, Beyond the Ashes, I stumbled over an image of their surgical amphitheater. I was stunned. 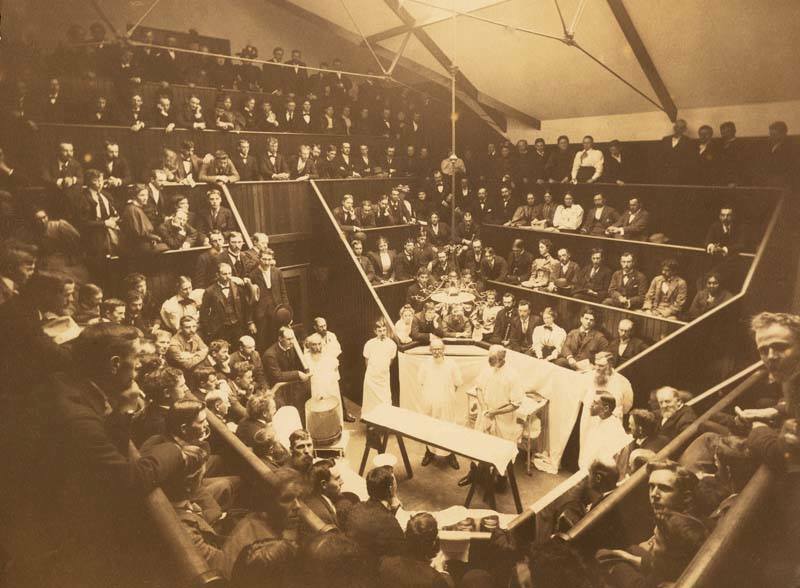 The imagery moved me: the eager medical students leaning in to watch, the proud surgeon in white, the glossy wood paneling, and (eww!) the lack of gloves and surgical masks. I could almost smell the ether and the cigar smoke. I knew I had to capture this imagery in my novel. My character wasn’t a surgeon—he was a doctor working with X-ray technology. No matter. 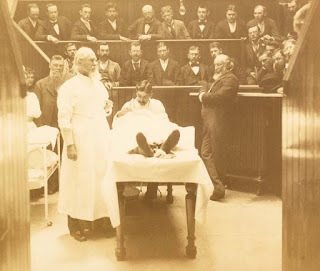 I’d find a way to get him in that room with the scowling surgeon. I had to. Gabrielle Here: Thank you, Karen! I love seeing the images that inspired you. I know exactly how you feel about finding nameless people in photographs. It's almost as if they're begging us to tell their story. She’s had her love and lost it. He’s still missing his heart’s desire. I've been looking forward to today's post for a long time! It's my pleasure to welcome author Michelle Ule to my blog. 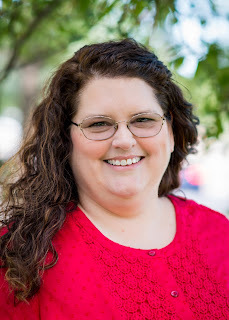 Michelle is a fellow author with Books & Such Literary Agency, as well as an assistant at the agency. Last year, when Dave and I traveled to San Francisco before the Books & Such retreat in Monterey, Michelle and her husband spent the day showing us around town. We had so much fun, and were so thankful for their time and expertise on the city. Please join me in welcoming Michelle! Bridge in the background last October. Writing to tell truth and wisdom, while fun and romance lead the way! Like many writers, I’ve been writing and dreaming a long time. But as I’ve gotten older, I’ve come to see stories as more than just an avenue to entertain—they’re a vehicle for portraying truth and “turning the prism,” of circumstance to look at life from a slightly different angle. I’ve been writing Christian historical novellas since my first novella, The Dogtrot Christmas, was published in A Log Cabin Christmas Collection in 2011. I’ve enjoyed the challenge of writing within the limitations of a shorter novel for the opportunity it’s given me to hone my skills while providing a spiritual message within a full story. In particular, I’m interested in how God works in someone’s life to His glory, often in unexpected ways. I believe readers deserve a full experience—that there should be more to my novellas besides boy meets girl, crisis intervenes, girl finds boy and they all live happily ever after. That sweet life may happen to some people but in my experience as a Bible study leader and a lay counselor, life is far messier and as Oswald Chambers said in the July 28 My Utmost for His Highest: “What we see as only the process of reaching a particular end, God sees as the goal itself." It’s been exciting to think through additional themes besides love and marriage as I’ve plotted my books. 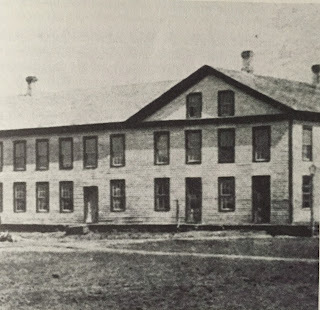 In The Dogtrot Christmas, a Mexican landowner in 1836 Texas is confronted by Anglos moving into his neighborhood and building their own log cabin. God has to work in his heart to show him the need to forgive in spite of his own rights, while a young woman must learn to stand on her own two feet despite her overbearing brother. I use the dogtrot cabin as a metaphor: the two small cabins under one roof with a breezeway in between represent the two cultures in which the couple find themselves, bound together with the love/roof of Christ. It was fun to write and I included one of my ancestors as a character. 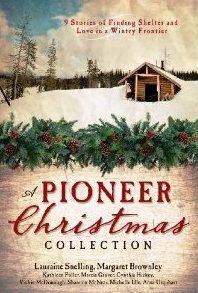 The Goldrush Christmas, part of A Pioneer Christmas Collection, which rereleases in September 2015, posed another challenging, yet exhilarating task in the writing. Midway through the research of this story of brother and sister twins hunting for their missionary father missing in Alaska, along with the bumbling preacher-wanna-be boy next door, I stumbled on a fantastic true story that had to go into my book. 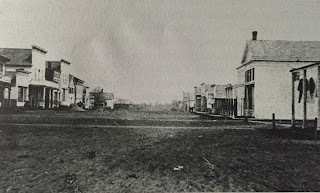 I tell the whole adventure here, but suffice it to say that owing to that bungling preacher-wanna-be, the girl twin (who is masquerading as a boy to protect herself in 1897 Skagway) breaks free of an overbearing brother and 80% of the town prostitutes escape the brothels. Hmm. The overbearing brother seems to appear in more than one of my stories . 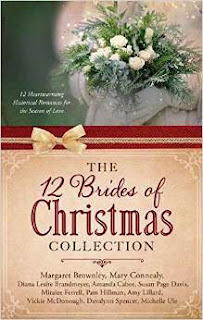 . .
My most recent projects are part of The 12 Brides of Christmas and its sequel The 12 Brides of Summer Collections. Set in the same 1870’s Nebraska town and featuring many of the same characters, The Yuletide Bride examines what it means for Kate to be a helpmeet and how God works in unexpected ways to provide the finances Ewan needed to earn his bride. It also features bagpipes, which were beyond fun to learn to play! 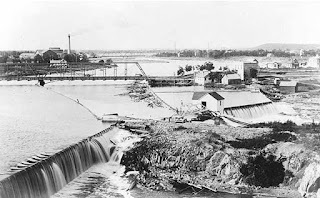 The sequel, The Sunbonnet Bride, tells of Kate’s brother’s efforts to win the heart of a local seamstress, Sally, set against how the town responds to a tornado destroying the neighborhood. Sally wants to own her own business, but is confused by the difference between profit and cash flow. I’ve seen many women start up small businesses with the same hopes, only to be dashed when it was time to actually manage the money. The Sunbonnet Bride touches on that, while at the same time asking an interesting question about the best way to use your gifts to the good of others, particularly in a crisis. Story themes should not be obvious when a writer constructs their tale. Themes should work seamlessly to show truth while not hitting the reader over the head. I’ve worked hard to do that in my books. The aim, of course, is to tell a story saturated with wisdom, truth, good humor and love. Because no matter what kind of reader you are, those are the ingredients of a good book. A retired Navy wife, Michelle has a terrific husband, four brilliant children, two perfect daughter-in-laws and five adorable grandchildren. She and her family have lived in all four corners of the United States and Hawai’i. They currently reside in northern California. Michelle teaches Bible study to a group of precocious women, counsels women in crisis at a local pregnancy counseling center, and works at a landmark literary agency. She’s led retreats, served on a short-term eyeglass mission project in Nicaragua, and plays clarinet in a small musical ensemble. In her free time, she travels, writes and reads–all extensively. You can learn more about her at www.michelleule.com. Gabrielle here: Thank you, Michelle! I enjoyed learning more about your stories and the themes and questions behind them. 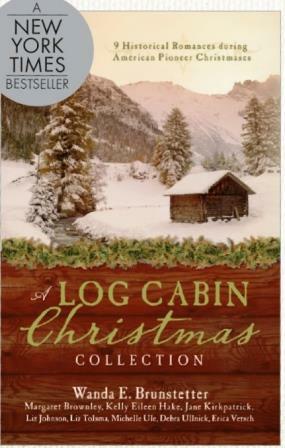 Michelle has graciously agreed to give away one copy of A Log Cabin Christmas, or Pioneer Christmas (winner's choice). Please fill out the Rafflecopter below for your chance to win. Your Turn Reader: Do you read novella collections? Do you enjoy books that are written with specific themes? Do you read romances specifically for the love story, or do you enjoy when a plot goes deeper than boys-meets-girl? 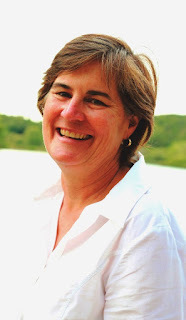 Today, I'm welcoming Kim Fredrickson to my blog. 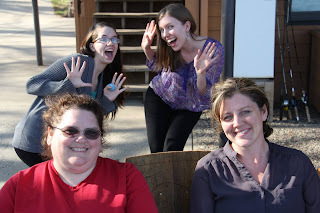 I met Kim last October at the Books & Such Agency retreat in Monterey, California. She is an inspiration to me, and I'm so happy to introduce you to her today. Thank you so much Gabrielle for the invitation to visit your blog. First let me tell you a little bit about myself, and how I began my writing journey. 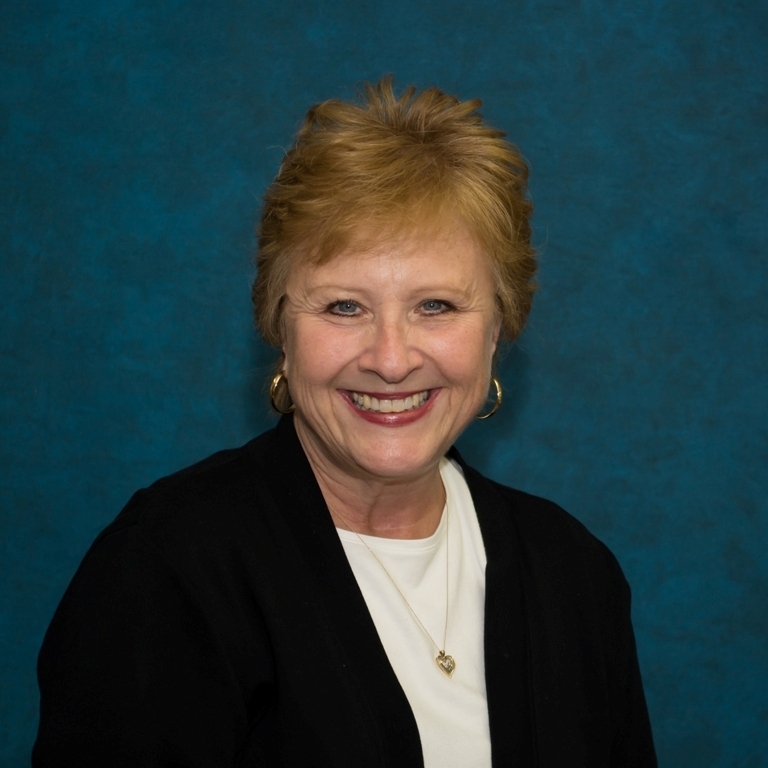 I have been a Marriage and Family Therapist in Northern California for 30 years. I have been creating content for workshops in my community (parenting, relationships, self-care and self-compassion) for 25 years, but did not pursue publication until recently. In early 2013 I self-published a book on self-compassion and faith, and felt God’s strong prompting to go to the Mt. Hermon’s Writers Conference (March 2013) to see if any traditional publishers were interested. Revell, a division of Baker Publishing Group asked me to submit a proposal, and I was offered a contract in January 2014. 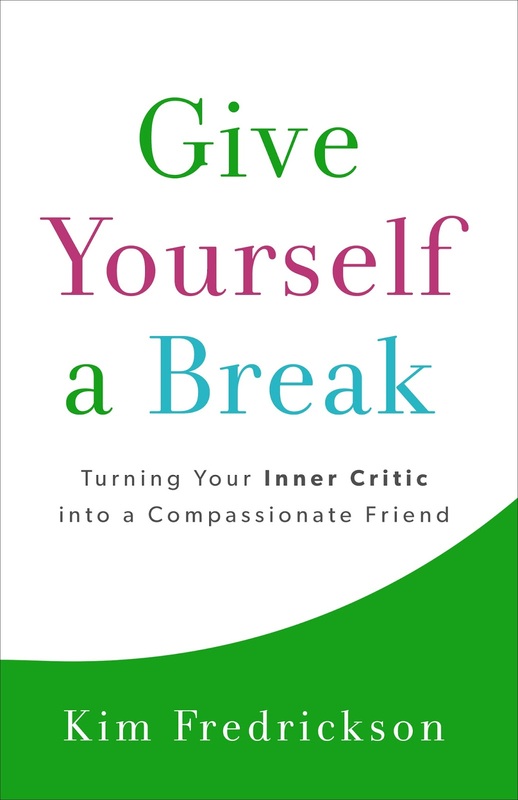 Give Yourself a Break: Turning Your Inner Critic into a Compassionate Friend was just released one week ago on July 7th, and I’m delighted to say there is a lot of interest in this topic. I first became interested in the transforming power of self-compassion integrated with our faith when I saw how helpful it was to my counseling clients. I did a lot of reading on self-compassion and found there were no books on self-compassion that approached this topic from a faith perspective. I still am in shock…how could this be? If anyone should write about this topic it is believers. Self-Compassion is applying Grace and Truth to yourself at the same time. Self-compassion is a balance of truth (yes I made a mistake) with grace (I have worth and value and will address this mistake directly). Self-compassion is the idea that we can be kind to ourselves when we fail, and treat ourselves with the caring support we would give another who is struggling. Extending kindness to ourselves means we see ourselves as human beings who are wonderfully made by God and valuable, yet who are imperfect and make mistakes. These last two years have really given me the opportunity to practice self-compassion. Almost 2 years ago I was diagnosed with a very aggressive form of breast cancer. That battle was 9 months of surgery, chemotherapy and radiation, I was so looking forward to getting my life back…but that was not to be. 4 days after I finished all my treatment I noticed I couldn’t take a deep breath. After about 6 weeks of testing and biopsies it was determined that I developed pulmonary fibrosis, which is a very rare complication from the chemotherapy. 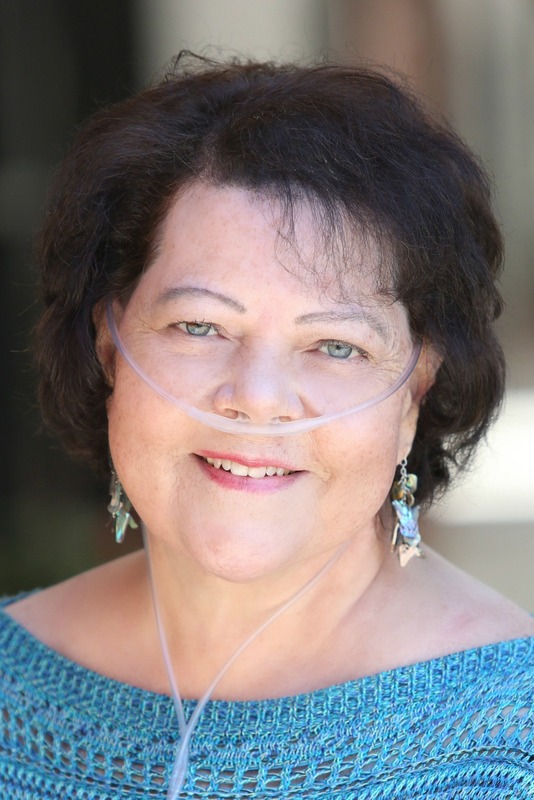 Pulmonary fibrosis is a progressive lung disease that has a 3-5 years life expectancy. One year ago I went on supplemental oxygen (24/7) and in January had to close my counseling practice of 30 years. There are no words to express how difficult all of this has been. I know all of us are going through very difficult life experiences. Some of these can’t be changed, but how we treat ourselves and care for ourselves while we are going through them can make a huge positive difference. When I was diagnosed with breast cancer I said to myself, “I’m going to be a very good friend to myself as I go through treatment.” I continue to be a compassionate friend to myself. I encourage all of you, whatever it is you are going through, learn and practice being a compassionate friend to yourself. Treating yourself with the compassion, understanding and kindness you would show another will make all the difference in the world. Kim is a Marriage and Family Therapist (MFC 22635) in Northern California. 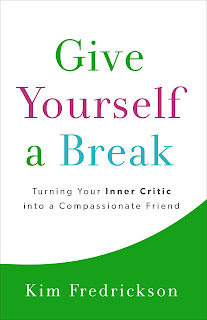 Kim enjoys sharing about the transforming power of self-compassion from a faith perspective through her recently released book, Give Yourself a Break: Turning Your Inner Critic into a Compassionate Friend. Kim also writes a weekly blog, “Self-Compassion for Real Life” where she shares hope - grounded in our faith, practical tools with real life application, and heartfelt encouragement. Connect with Kim on Facebook, Twitter, Pinterest, and her website. Many people are used to showing compassion to others. 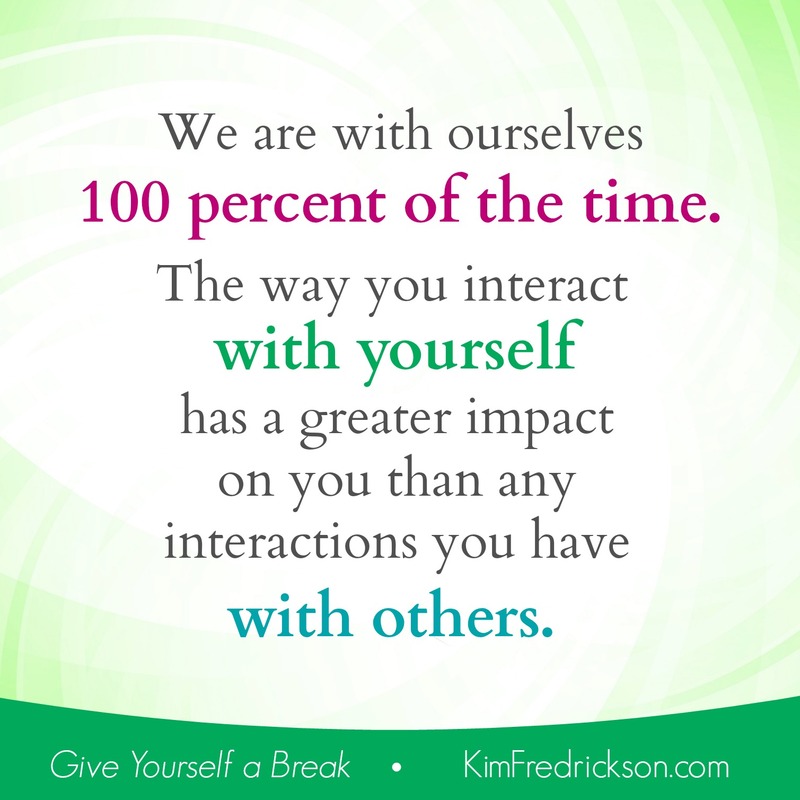 What many of us have trouble with is showing that same compassion to ourselves. Too often we say things to ourselves that we would never say to a friend. All this negative self-talk can have a devastating effect on our lives. Licensed marriage and family therapist Kim Fredrickson wants readers to stop beating themselves up. Grounding her advice in the Bible, she offers practical steps, specific exercises, and compassionate words to say in order to build a loving relationship with ourselves. Through inspiring stories of transformation, she helps us learn to show ourselves the kind of grace and understanding we offer to others--and to change our relationships, our outlook on life, and our view of ourselves in the process. 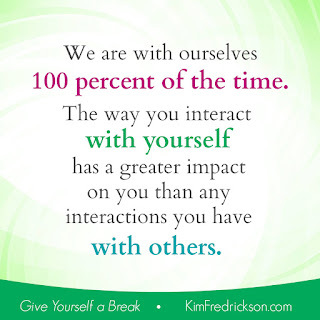 Kim has graciously agreed to give away a copy of her book, Give Yourself a Break. Please enter the Rafflecopter below for your chance to win. 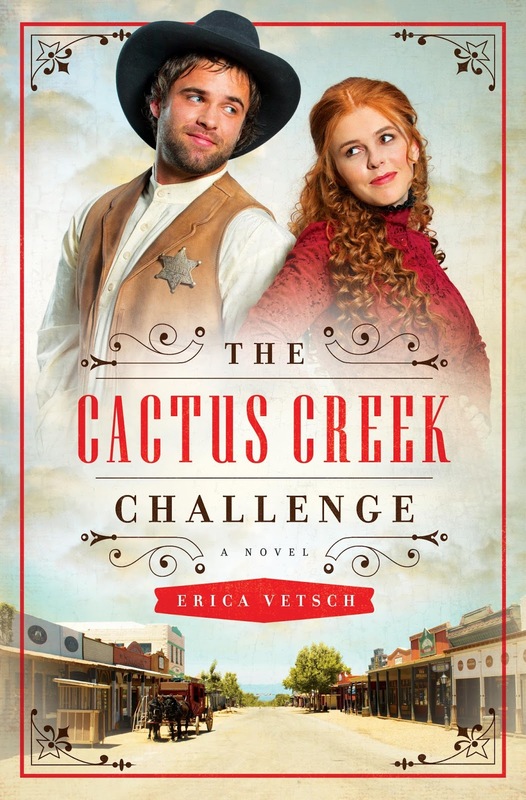 We also have a winner for The Cactus Creek Challenge, by Erica Vetsch! The winner is Crystal Caudill! Congrats, Crystal. How do you do, everyone! This is newspaperman Archie Davidson, reporting from Bristol, Connecticut. I’m here to tell you all about a rather alarming incident that occurred just the other day, at what was supposed to be the society wedding of the year. I attended the wedding with plans to write an article for the social columns, but something queer happened instead. The engagement notice printed in my fine newspaper read: Dr. Raymond McNair to wed Miss Audrey Whittaker. And we never make mistakes at the Bristol Times, you can be quite sure of that. Tell me then, why did Miss Audrey Whittaker disappear right before the big day, while her sister, young Miss Grace Whittaker, married the good doctor instead? That ladies and gentleman, is the mystery at hand! But with my classic newspaperman’s nose, I’m going to sniff it out, starting by interviewing…the substitute wife herself. Grace appears in the doorway, but doesn’t enter the room. She stands quietly, hands folded in front of her, eyes on the carpet. Davidson – Come in, come in, won’t you? Have a seat. Care for some tea? I make quite deplorable tea, actually, but I’d be glad to share some with you. Grace takes a seat on the edge of the settee. To Davidson’s cataloging eye, she seems to perch, like a hummingbird ready to take flight at the merest instant. Grace – I make deplorable tea too. She fixes her wide-eyes on Davidson. She has rather pretty eyes, or so they seem to Davidson. Greyish-blue, fringed with thick, dark lashes. 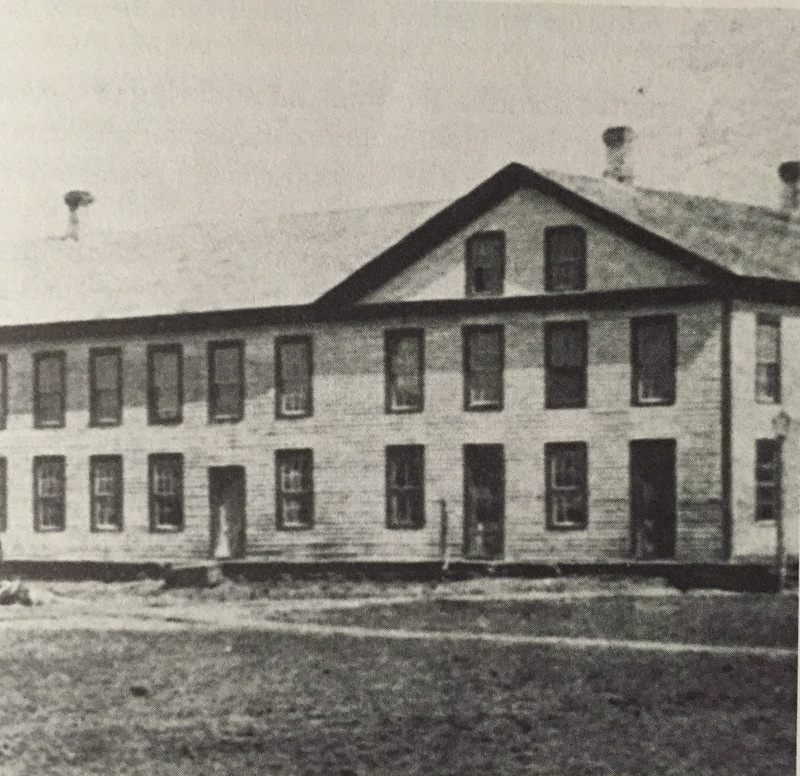 Davidson – Really? I would’ve thought you’d be rather handy with housekeeping. Aren’t most girls? Grace – Perhaps. But not me. You see, after Mother died, I spent so much time working in Father’s store, I never had a chance to learn. But now that I’m married, my kitchen skills are proving me a disgrace. Davidson – (rather eager) Married, you say? I’d heard about that. Is it true that you took your sister’s place at the altar after she ran off with the traveling circus? 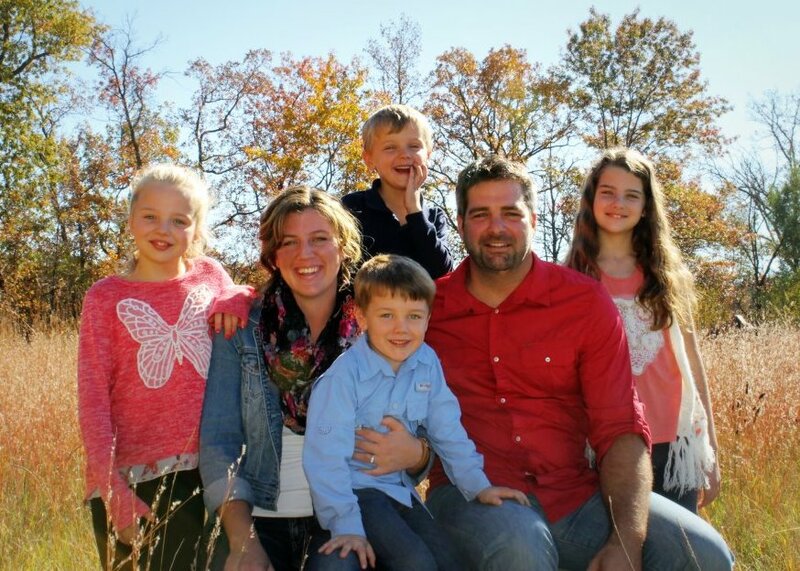 Grace – It wasn’t the traveling circus. It was a theatrical troupe. But please, don’t print that in your paper. My father wouldn’t wish the family name ruined any more than it already is. Davidson – Off the record, then. Just to satisfy my own curiosity, how are you and your new husband enjoying married life? Grace – (fidgeting with her clasped hands.) Is it possible to enjoy what was forced upon one? 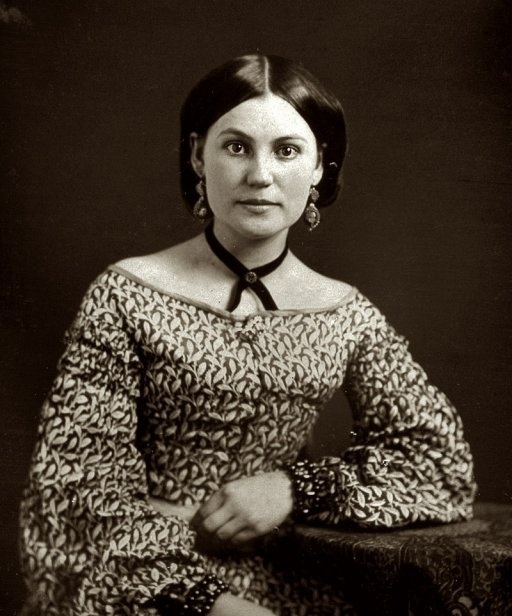 Dr. McNair only married me to save his own name from scandal. He is polite and civil, but he doesn’t love me. Not that I should expect him to. I’m not beautiful like Audrey. She could charm any man that came within ten miles of her. Father always said I’m plain, and he’s right. I don’t attract men. It’s just not in my nature to smile, flirt, and be charming. So you see, Mr. Davidson, a marriage cannot possibly succeed after such a rocky start. Davidson – I don’t know about that. Dr. McNair is one of the most decent men around. And with his kindly manner and Irish charm, he could win over any girl if he set his mind to it. Grace – (sighing softly) He is charming, like you say, and handsome too. And I do want so much to be happy with him. Davidson – Just give it time, Mrs. McNair. As the old saying goes, “time heals all wounds.” And as I know from personal experience, love doesn’t always have to come in the grand, romantic way it does in novels. Sometimes it steals upon you quietly. And when it’s unexpected, it’s often all the sweeter. Grace – (smiling now) Thank you, Mr. Davidson. You’re very kind. Davidson – The pleasure is all mine, Mrs. McNair. I wish you both the very best. 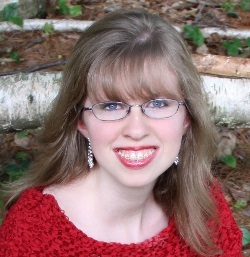 Amanda Barratt is a historical romance author with two novellas releasing in 2015 with Barbour Publishing. 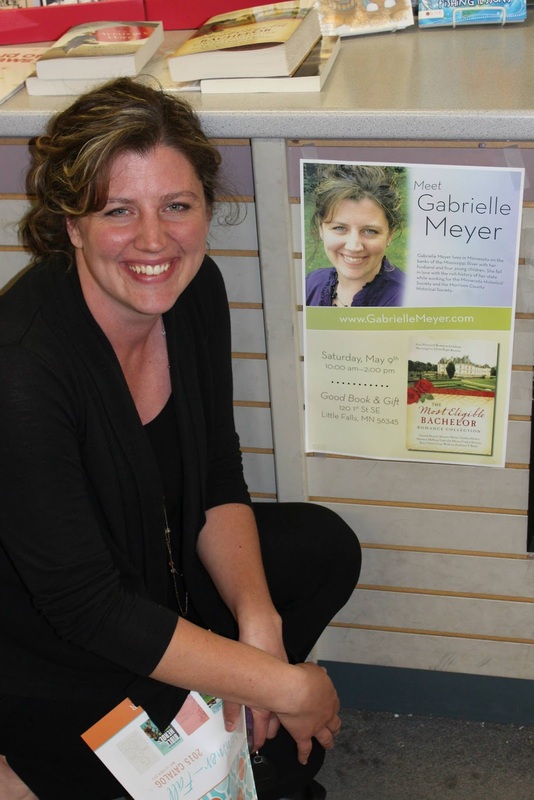 She fell in love with writing in grade school when she wrote her first story - a spinoff of Jane Eyre. Since then, she's penned novels set in Regency and Victorian England, and the Gilded Age. Don't forget to enter the Rafflecopter below for a chance to win a loaded 7" Kindle Fire from The Convenient Bride Collection authors! 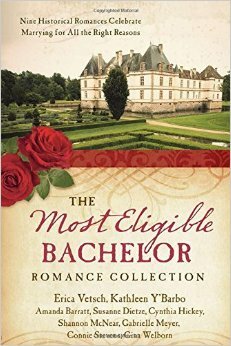 Erica and me on release day for The Most Eligible Bachelor Collection! Thank you so much, Gabrielle, for the invitation to visit your blog. I love that we’re fellow Minnesotans, history addicts, and friends. Gabrielle asked me to choose one of the themes from my new release The Cactus Creek Challenge to talk about with you all here today, and the first theme that shot to my mind was that of experiencing life through someone else’s eyes, walking a mile in another man’s cowboy boots, so to speak. In The Cactus Creek Challenge, the schoolmarm Cassie and the sheriff Ben swap places for a month for charity, which leads to some interesting predicaments for each of them. Both Cassie and Ben bring a wagonload of preconceived notions to their new job. Each has to let go of their hold of their previous job. And each has to give and receive grace when, in the end, they need each other to do the best job possible. 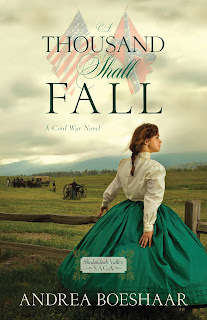 Ben’s preconceived notions are that teaching school isn’t that hard—after all, you just sit behind a desk and listen to recitations—and that no woman could keep the peace in his town, especially not one so young as Cassie. For Cassie, she is sure she can do anything without help, especially something as simple as walking around town wearing a badge and chatting with people all day. There hasn’t been a speck of trouble in Cactus Creek in forever, and things aren’t likely to change. Each of them has to face several challenges in the course of settling into their new jobs, and both are reluctant to accept the help, advice, or criticism of the other. Their stubbornness trips them up, and folks take advantage of their greenness. They are each sure the other is messing up their job because they’re doing things differently. Ben decides to change the curriculum at the school to something more to his liking, and Cassie decides to prettify the jail. Ben lets the kids run free, and Cassie bites off more than she can chew in protecting a gold shipment. In the end, each has to learn that they are better together than apart, that each brings strengths to the table that the other can utilize. This makes me think of the body of Christ, His Church. Each of us is gifted and equipped for the edifying of the body. Each of us brings something different to the equation. And we are better together than apart. When we share the load, we lighten the load. When we give each other the grace to serve Christ according to our gifts, we are stronger. When we exercise our gifts to serve each other, even if it’s in a job we’ve never done before, we grow in our fellowship and our faith. That’s what being part of the body of Christ is: service and grace. YOUR TURN: Have you had the chance to walk a mile in another man’s cowboy boots? Erica has agreed to give away a copy to one lucky winner! Enter the Reafflecopter below for your chance to win. The winner of The Convenient Bride Collection from last week's drawing is Tammy Cordery! Congrats, Tammy. The real celebration will begin next Monday, July 6th as all the authors in this collection kick off a week-long blog hop. I'll be sharing more about A Groom for Josette next week, with a look at the characters, the setting, and my inspiration for the story. But best of all, at the end of the week, we're giving away an incredible gift to one lucky winner! A loaded 7" Kindle Fire. But why wait to give something away?? In honor of Release Day, I'm giving away two books this week!! 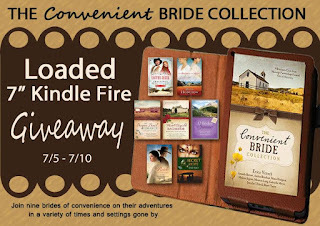 One lucky winner will receive a copy of both of my summer releases: The Convenient Bride Collection as well as The Most Eligible Bachelor Collection!! I'll pick a winner on Sunday, July 5th and announce the winner on Monday's blog post. All you need to do is enter the Rafflecopter below!! Thanks for stopping by to celebrate! !